I have never been much of a reader. I have always preferred audiobooks because I am a multitasker — I feel the need to do more than one thing at a time to feel like I am being productive. But all of a sudden, I really enjoy sitting in quiet solitude reading a book. I ask myself and laugh, why could I not have enjoyed doing this before becoming a parent? As soon as I sit to read my book, that is when my children need a snack, must go poop, or ask for me to play with them. They become needy as soon as I get comfortable. I just have to trust that the way I grew into appreciating reading a book for myself has taught me to be a more self-sufficient adult. Now that I have children and do not have the liberty of reading whenever I want, I have come up with ways to attempt to get some reading in. A word of caution: The suggestions I share will not help you finish a book in a day, but it may help you become more consistent with your reading. Begin with 10, 15, or even 30 minutes a day. Set the timer and begin to read. Yes, it’s easier said than done, but consistency is key. Be aware that your children (especially if they are younger) are not used to this newly allocated amount of time, so the more you do it, the more they will take it seriously. You are being the example. Also, have your children choose their own books to read (or look through if they do not read yet) while you read. Public libraries are great resources to help you get some reading done. All public libraries have an area of child-appropriate books, and most of the ones I have visited even have a play space for kids. Take your book, help your kids choose a book (or a few) to look at while you read, or let them play in the kid area under your vigilance while you get some reading in. Many of us moms may be apprehensive towards screen time, but if used appropriately, screen time can help give us a breather. 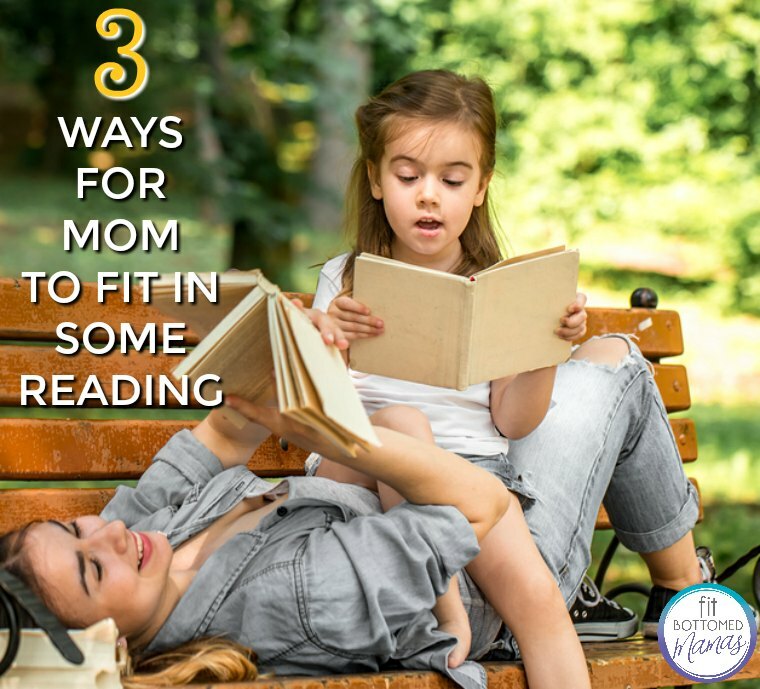 This strategy may not work for everyone, but it is an option if your children will not stay still reading or looking through books of their own. Although I have only finished a book in the past month and a half, I feel accomplished in knowing that my reading has become more consistent and that my children are witnessing me read. It is a benefit for me to work harder to nurture good habits for my children and myself.